The Jewish believers were torn between their new faith in Jesus and their old ways rooted in Old Testament routines and rituals. They were tempted to go back to their familiar life that seemed "good enough." But the author of Hebrews shows that when Jesus came, "the best got better." He skillfully compares these believers' old ways and their new faith, arguing that Christ is better in every way. He focuses on Jesus, his effective ministry, and his ultimate sacrifice, showing us that absolutely nothing compares to our incomparable Christ. 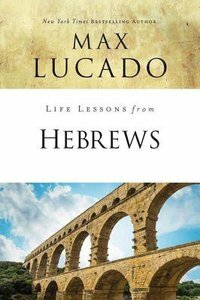 About "Hebrews (Life Lessons With Max Lucado Series)"